… but don’t worry, we’ve got you covered! We drove a big fancy motorhome that included a bed, kitchen, and toilet inside of the vehicle (this was our 2.5 week adventure around Southern Germany). We purchased a converted camper van that had a bed in the back of the van but we still had to cook and use the toilet outside (this was our 3-month tour of New Zealand). 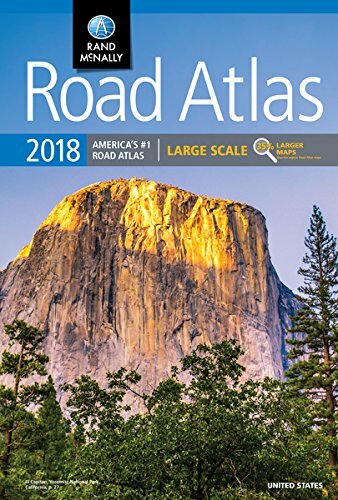 And we road tripped in our 1994 Ford Bronco and slept in a tent every single night as the car was too small to fit both our gear and our bodies (this was our 6-month road trip from Oregon to Florida and back again). There are positive and negatives associated with each option. For instance, while having an indoor toilet is incredibly convenient (especially when it’s cold), it can also be really difficult to dump and clean the waste container. And setting up a tent every night and then putting it away every morning is torturous to do when you’re really tired or really cold. 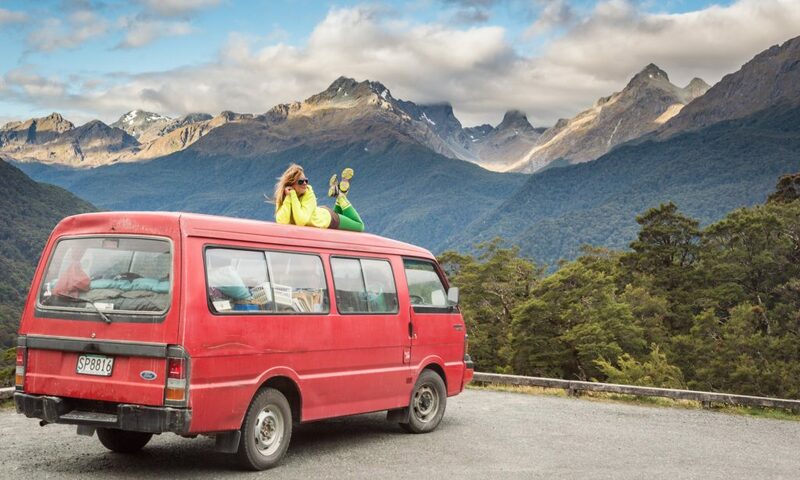 More about this in our 9 Tips for Surviving Van Life. Speaking of cold, weather will also be a factor in determining what mode of transportation to choose (especially extreme conditions). Wild animals should also be a consideration as you probably don’t want to find yourself camping in a tent in the middle of grizzly bear country. You’ll need to modify your packing list depending on the mode of travel that you choose. To help you decide what to pack and what to leave at home, we’ve broken the list into a few categories. 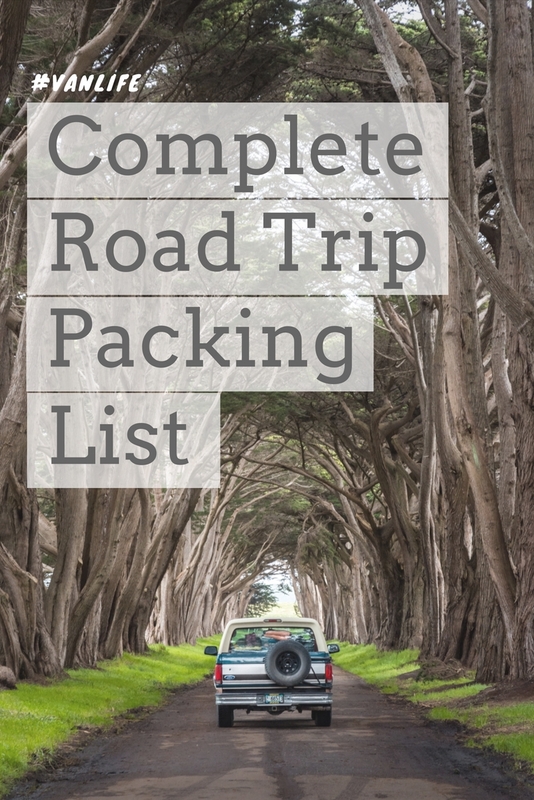 Read on to find out what we packed for each of our epic road trip adventures! Nothing puts a damper on a road trip faster than getting stuck somewhere. 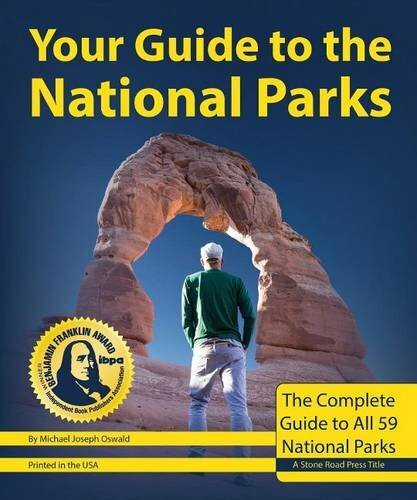 And if you are planning on heading into less populated areas or getting off-the-beaten-path you may even find yourself broken down with no cell phone service and no one around to help you! The two most common issues that are easy to prepare for in advance are a dead battery and a flat tire. A dead battery always seems to happen at the worst time and usually when you’re far from help. It’s easy to forget to turn off an interior light when you go to bed or to leave your car stereo running a little too long while the car is turned off. 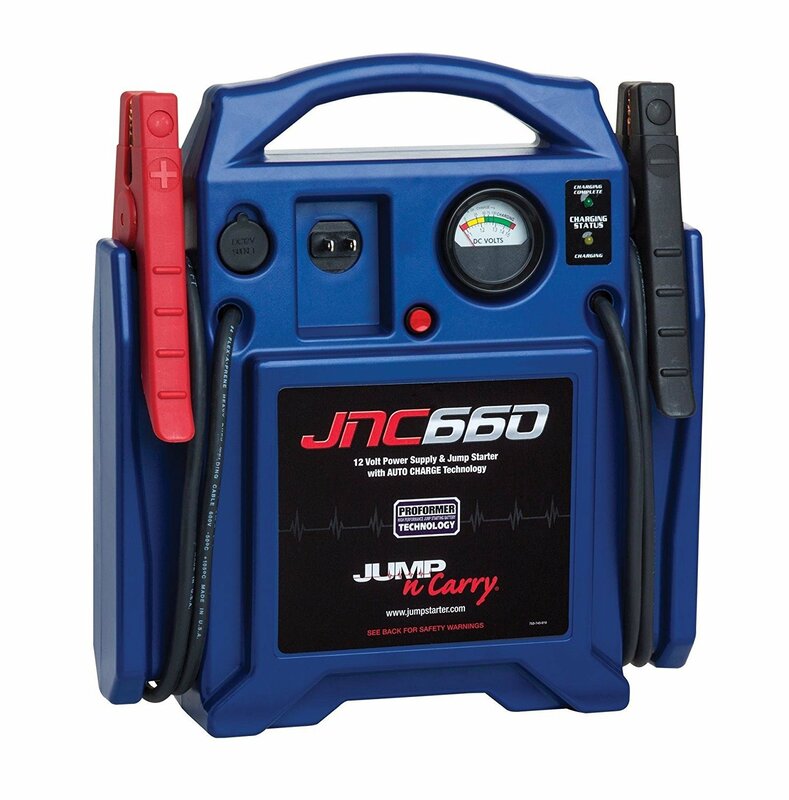 If you ever plan on camping outside of commercial campgrounds you should definitely bring an emergency car battery jump starter in addition to a pair of jumper cables, just in case. We also always recommend carrying a full-size spare tire when journeying into unknown places. 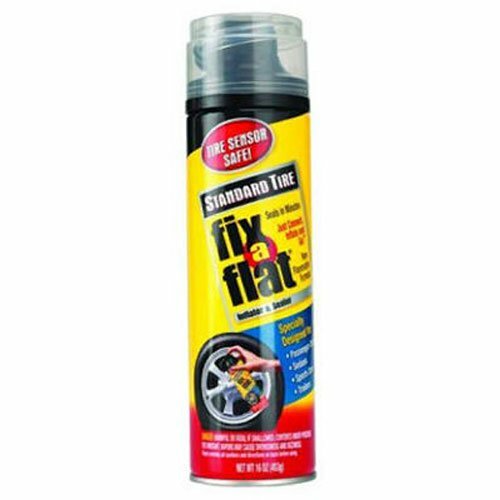 If that’s not possible, you must carry a can of fix-a-flat for emergency situations – it will allow you to limp your way back to civilization and the nearest service station. Also, double check to make sure that your vehicle has a lug nut wrench that fits the lug nuts on your tires and that you have a working jack. 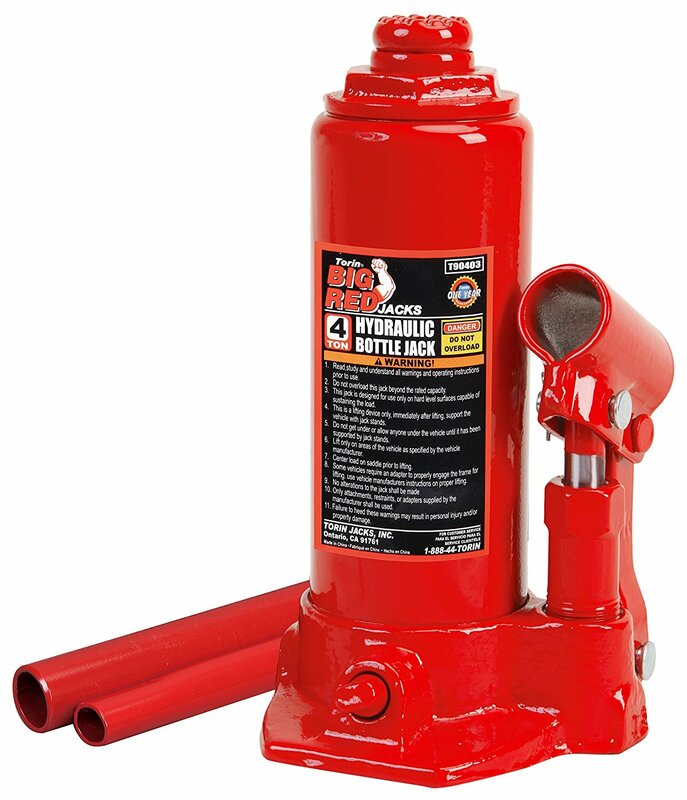 We invested in a 4-ton bottle jack because the old car jack in our Ford Bronco didn’t appear to be reliable. 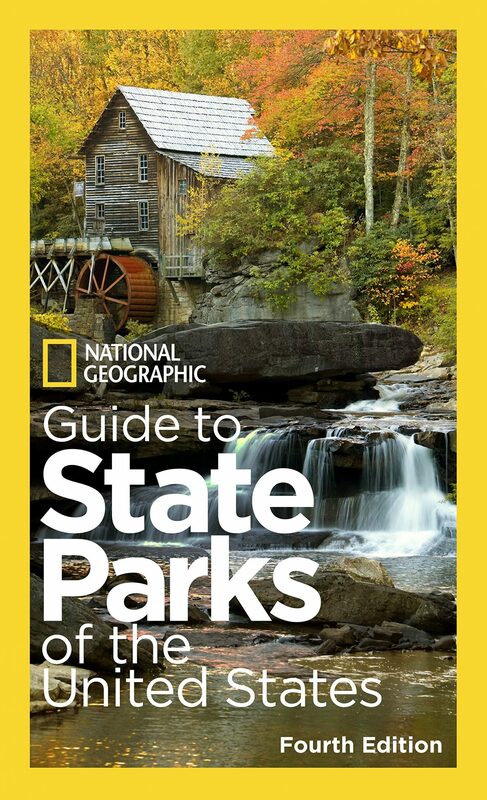 We also picked up Falcon Guides that covered hikes or hot springs for each area we visited. You’ll be pitching a tent every evening and putting it away every morning on your road trip so ease of assembly is incredibly important when choosing your tent. You’ll also want large doors for getting in and out. 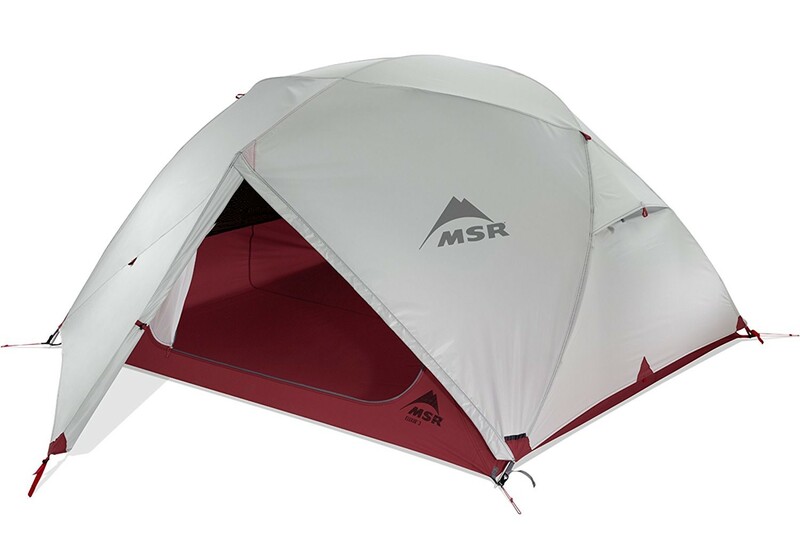 This 3-person tent by MSR won’t take up too much room in your car and will be a breeze to put together and take apart. Be sure that your tent includes a rain fly that fully covers the tent to the ground (in case of windy, rainy conditions). Also, you’ll want to invest in a ground tarp or “footprint” to keep sharp rocks and sticks from poking through the bottom of your tent (and your air mattress). *Just because it’s called a 3-person tent doesn’t mean you would actually want to fit 3 people inside. It can sleep 2 comfortably on a queen-sized air mattress. 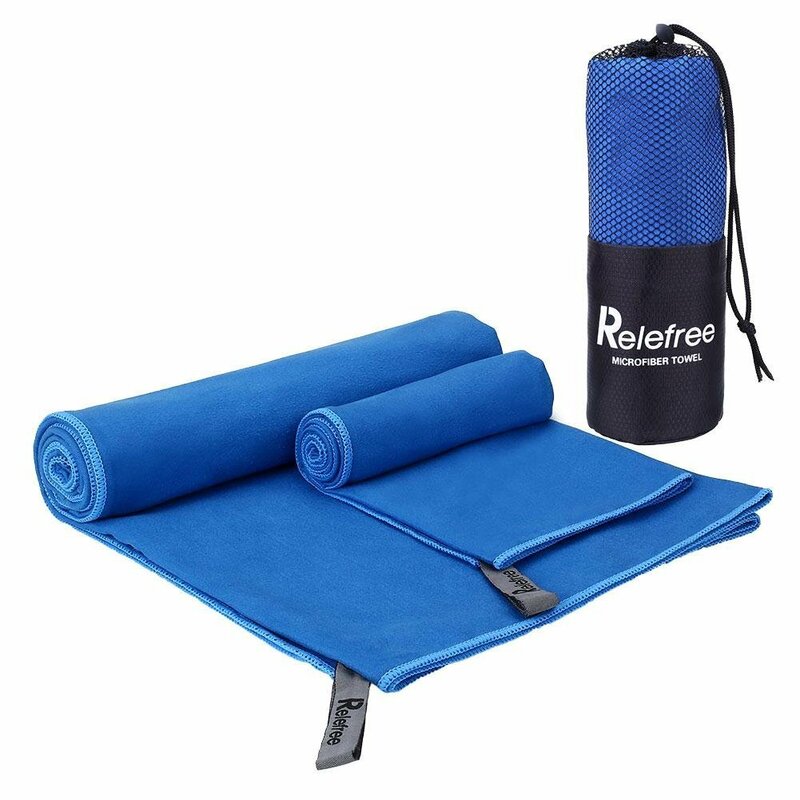 A large, heavy duty tarp will come in handy if you find yourself caught in a rain storm or if you must set your tent up on very sharp, rocky terrain. Fingers crossed you’ll never have to actually use it. There are times that you won’t be able to find a plush grassy knoll on which to set up your tent and you’ll have to deal with rocks or other debris that may damage your air mattress. And there is no greater torture than waking up in the middle of the night on a deflated mattress. 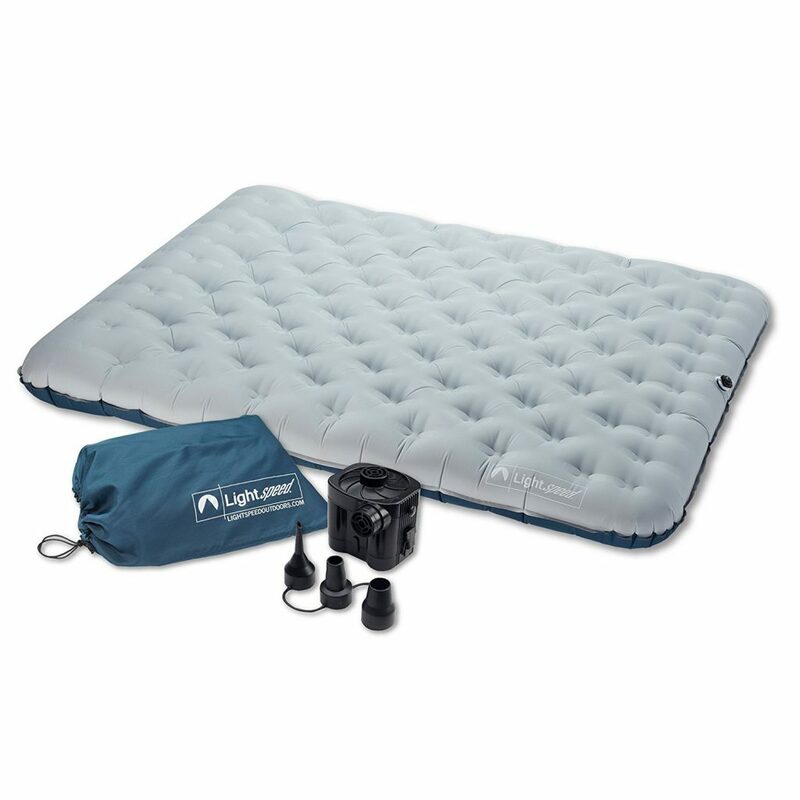 We blew holes in 4 different air mattresses before finally deciding to pay a bit more for a super durable mattress made specifically for camping. This one by Lightspeed Outdoors will withstand a litany of abuse without popping. It also comes with a battery operated pump (don’t forget to purchase batteries!) but we kept a hand-pump as a backup, just in case. This is based on your preference. 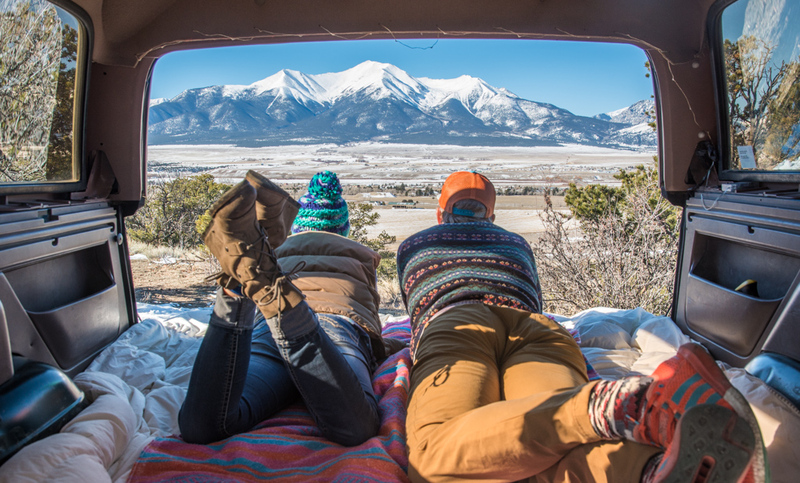 Some people may prefer to sleep in a sleeping bag while road tripping. We found that sheets, a down comforter, and regular-sized pillows made our sleeping experience significantly more comfortable. It also allowed me to take advantage of Nick’s outlandish body heat. Queen-sized sheets will fit your new air mattress. Just grab the bedding you use at home and you’ll be set! If you prefer sleeping bags make sure to invest in something high quality that will keep you warm. 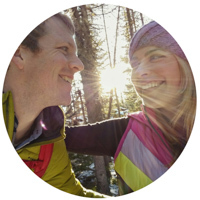 Marmot is a good brand for quality, affordable sleeping bags. The Marmot Trestles 30 will keep you warm in most situations, but if you’re going to be camping in the winter or at high elevations you should invest in a bag that is rated to 0° or lower. You’ll want quick-drying towels both for drying off after a shower and for drying dishes after dinner. 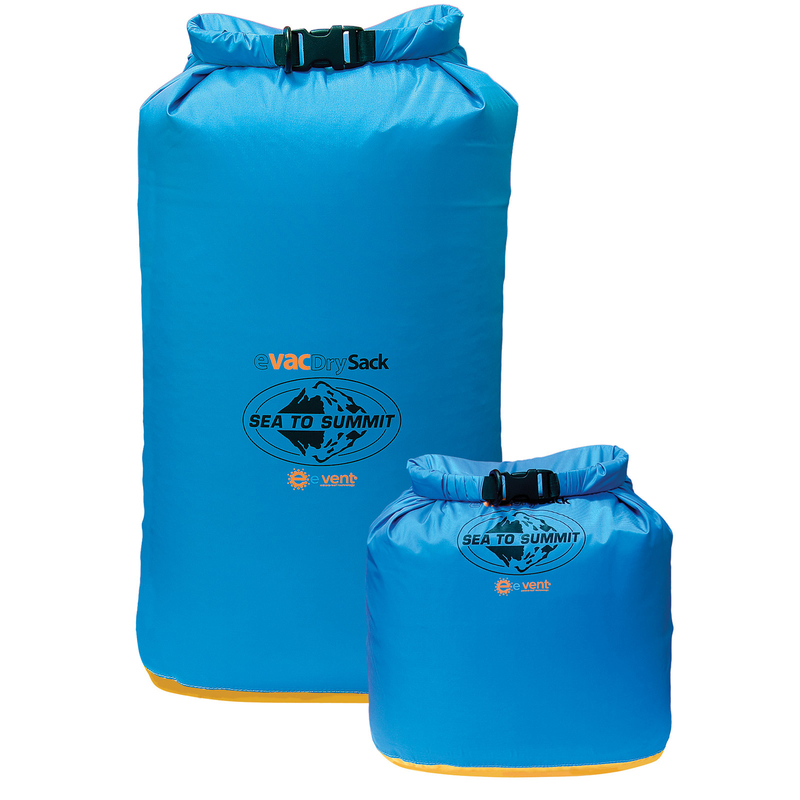 These also work well for backpacking trips as they are super compact and lightweight. Many campsites are equipped with a picnic table which is ideal for cooking and eating, but some do not. And sometimes you may not even stay in a campsite if you are adventuring in the middle of nowhere. There are also times you’ll want to sit around the fire pit roasting marshmallows and drinking wine. 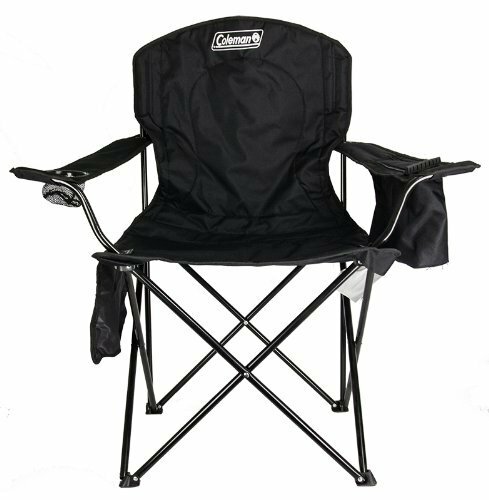 So be sure to throw a couple of camp chairs in your car for easy and convenient seating. This one by Coleman even has a built-in cooler to keep your beers cold! Having a hammock to lounge on while hanging around camp or for a mid-afternoon nap is a little camping luxury. It’s also super easy to throw in your pack for a day hike. 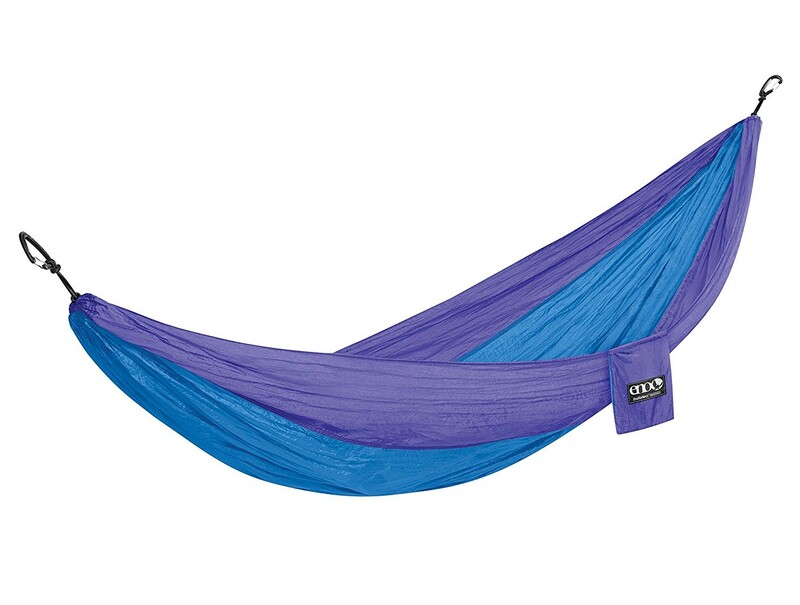 We travel with an ENO DoubleNest Hammock – it’s lightweight and compact. You’ll need to buy some straps as well for hanging it from two trees. 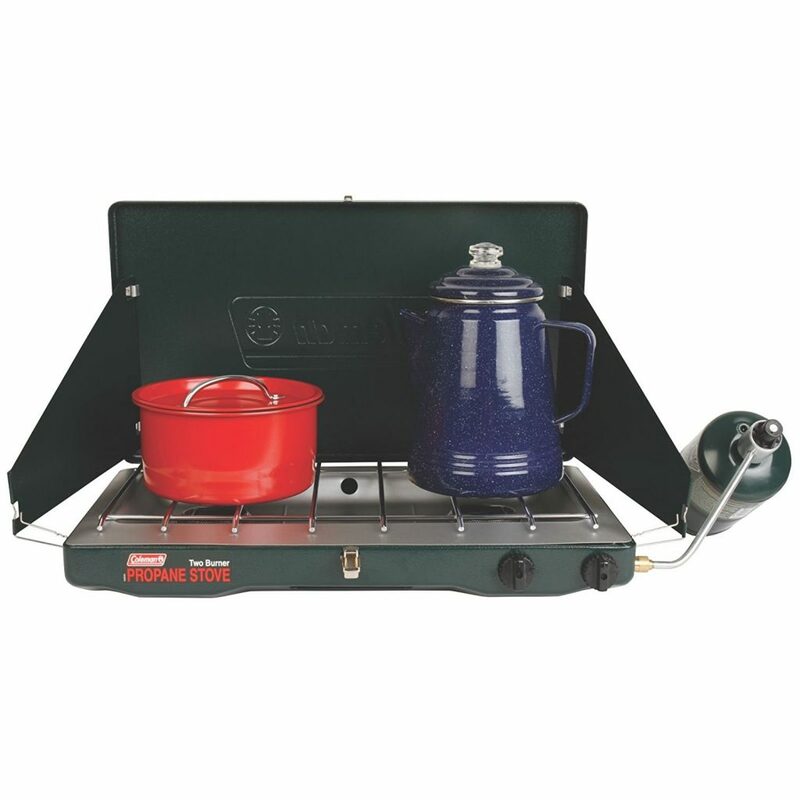 You’ll be doing quite a bit of cooking and boiling water during your road trip so you’ll want a large double burner camp stove. 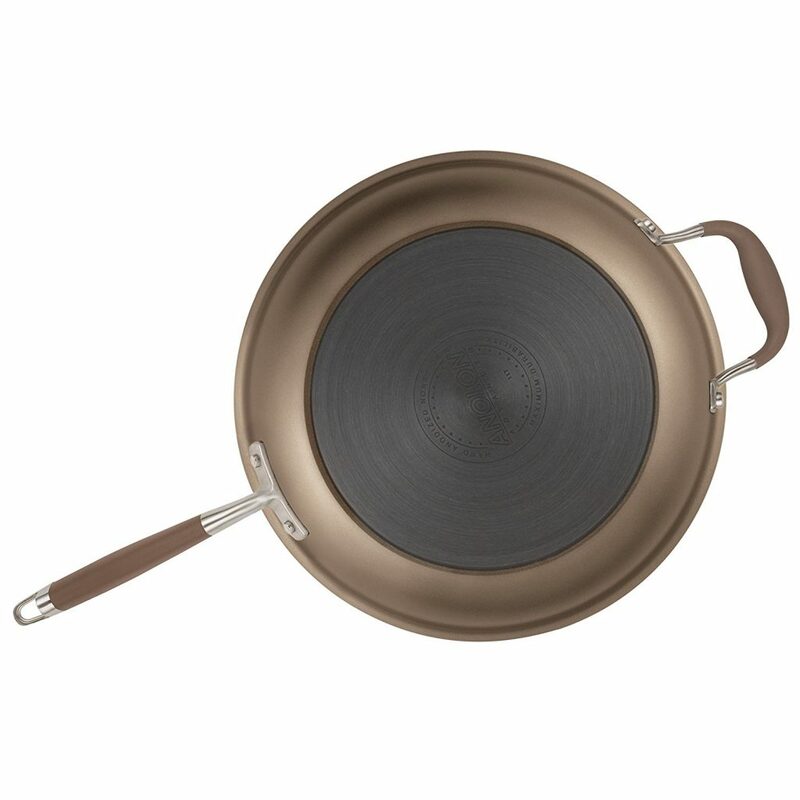 This one by Coleman is heavy duty and high quality. It’s also easy to use and packs up nicely. Always have at least one full bottle of propane as a backup, just in case. And don’t forget to pack a lighter (best to get a ‘wand lighter‘) and back-up matches for lighting your stove and campfire. While on the road you’ll want to prepare meals that are fast, easy, and that will create as few dirty dishes as possible. For us that usually meant vegetable curries and soups. If you stick to easy meals, you’ll only need to pack two pieces of cookware; a large skillet and a large pot. 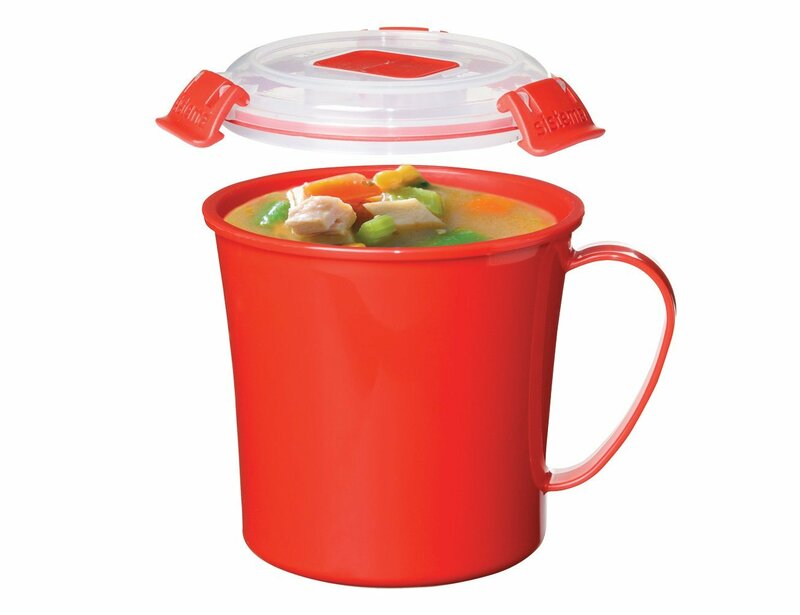 You’ll use the large pot for soups, chili, and for boiling water every morning for coffee. And your skillet is for grilling veggies, making eggs, and heating your curries. Be sure your skillet is non-stick otherwise you’ll have a rough time getting it clean. You’ll only need one plate, one bowl/mug, and one set of silverware per person. Just be sure to pick a set that is easy to clean, extremely durable, and that won’t burn you when it contains a hot substance (so stay away from stainless steel). These mugs by Sistema are perfect because you can drink out of them, eat out of them, and store your leftovers in them. A sharp knife with a sheath – having a sheath allows you slice your salami and cheese while on a hike without poking a hole through your day pack. Biodegradable soap – doing dishes at the end of your meal is probably the worst part of camping but has to be done. We opt for Dr. Bronner’s because you can use it for washing your dishes and your body. 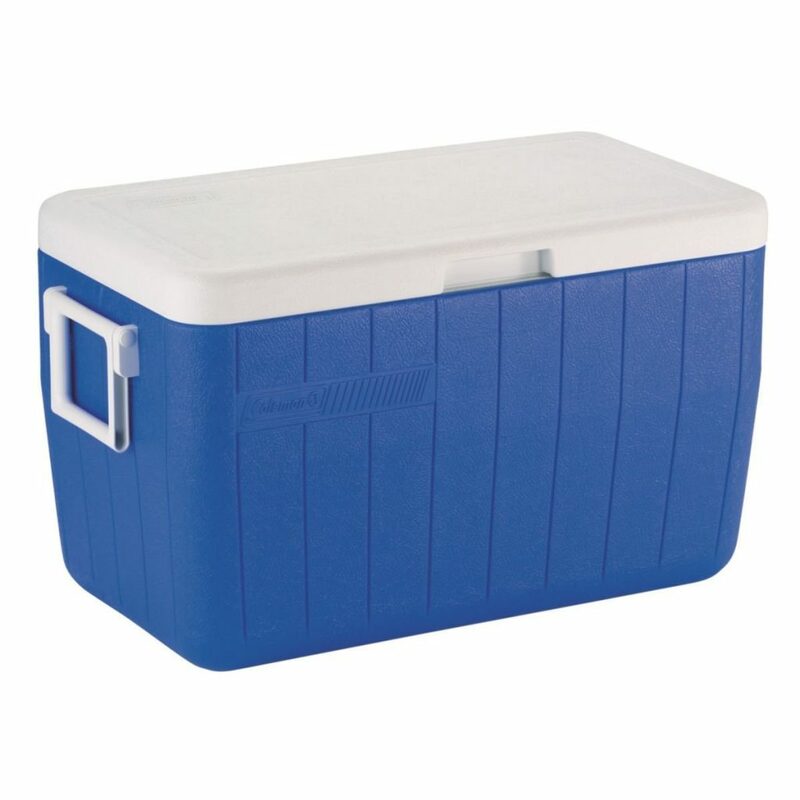 You’ll need at least one cooler on your road trip to keep your perishables cold. We found raw meat products to be incredibly difficult to keep cold and to clean up after cooking so we mainly used our cooler for fruits, veggies, deli meats, cheese, coffee creamer, eggs, and beer. Be sure to get one with a drain, like this Coleman model, so the melted ice doesn’t drown all of your food. It’s important to keep your coffee grounds fresh while you’re on the road by keeping air and moisture out. When you buy a bag of coffee make sure you transfer them into a container you can seal shut. 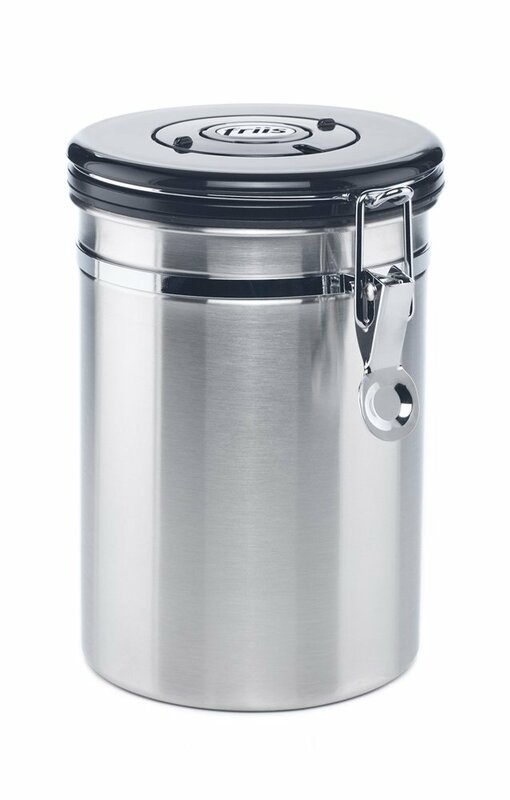 Tupperware works in a pinch or go with a fancier option like this coffee vault by Friss. 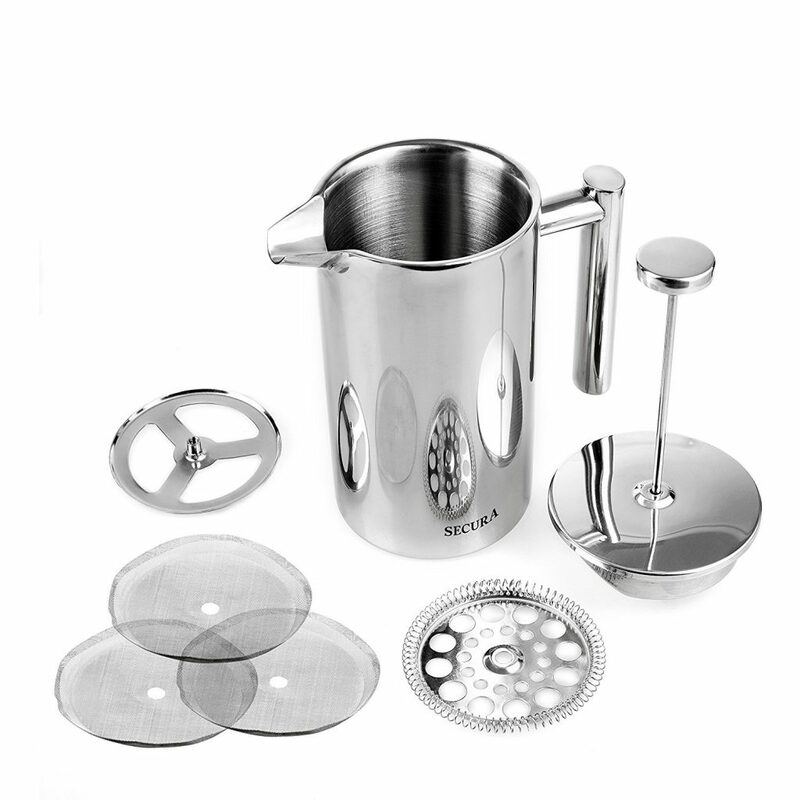 Skip the glass French press and instead opt for a super durable, easy to clean, stainless steel model. This one by Secura took a beating from us for the duration of our 6-month trip across the US and hardly had a scratch on it at the end. If you prefer pour over coffee there are several slick options for brewing up the perfect cup. 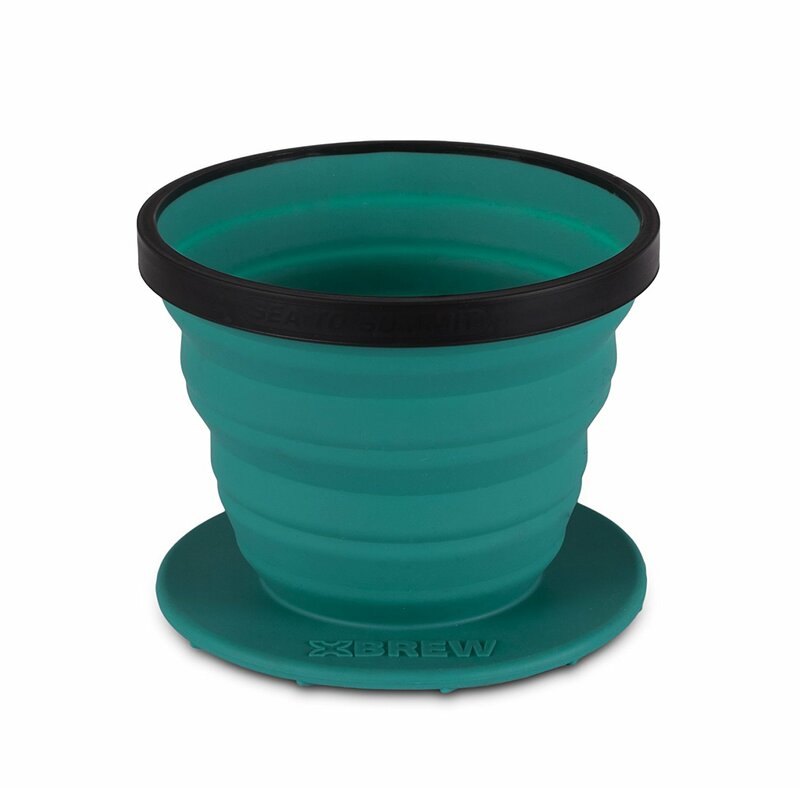 Try out the X-Brew Coffee Dripper from Sea to Summit which is perfect for both camping and backpacking as it is light and compact. There are times when you’ll want to get a move on your day so sitting around camp drinking coffee isn’t exactly ideal. Invest in quality coffee mugs that will keep your coffee piping hot while you drive to the next amazing location. 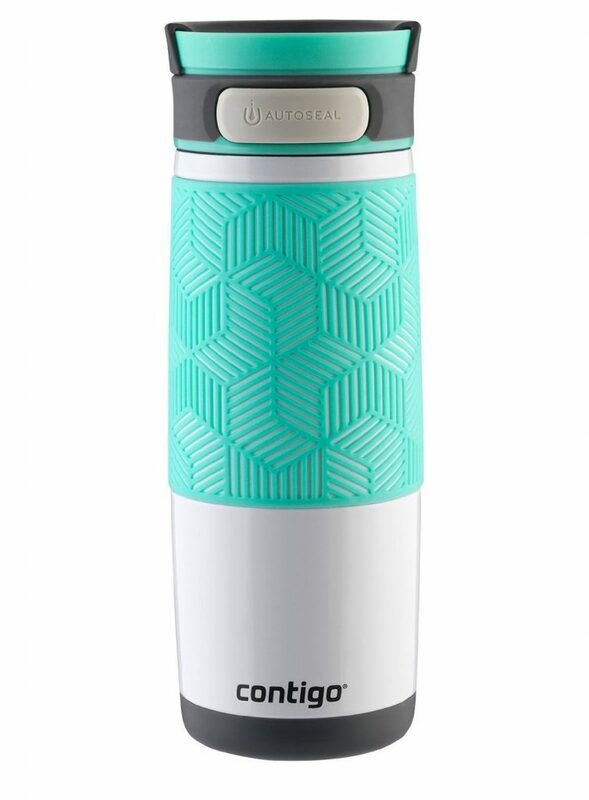 We found Contigo Autoseal Travel Mugs to be the most spill-resistant and the easiest to clean. You’ll probably find that you need to hit the grocery store every 4 days or so for fresh fruits and veggies (unless you plan to live solely on canned food). Keep extra dry goods on hand in case you get stuck somewhere and don’t have access to a grocery store. Also, be sure to keep plenty of water in your vehicle if you plan on venturing out into the wilderness. This 7-gallon container is a good option for keeping an emergency stash. Pro tip: Put ice in a large Tupperware container inside your cooler. That way when it melts it won’t get all of your fruit and veggies soaking wet! Keeping your car well-organized during your road trip will significantly cut the amount of time that it takes you to set up camp every night. And it will keep you from losing your mind. 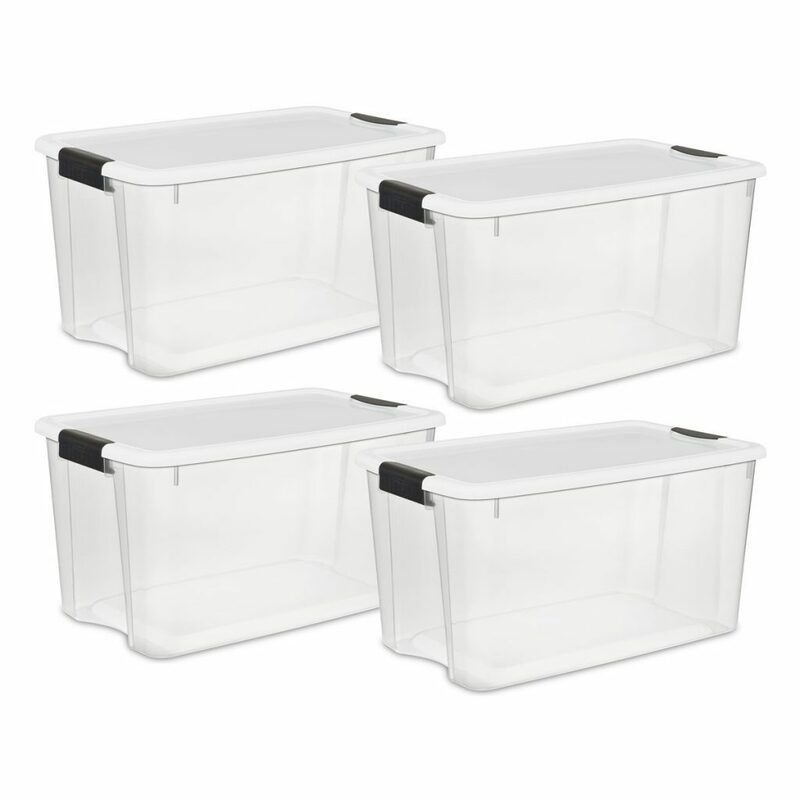 Keeping food in tupperware bins keeps bugs and rodents out and will be especially helpful in case you accidentally end up with a car mouse as an unwanted pet. Tupperware also keeps any moisture out of your clothes, bedding and towels. Purchase tupperware containers and then label them clearly. “Dry goods” should contain any food that doesn’t need to go in the cooler. “Backpacking gear” should contain anything you will only use for trekking. “Clothes”, “bedding”, “pots and pans” should all be separate containers. Depending on the time of year that you take your roadtrip, you’ll likely spend more than a few evenings cooking after the sun has already set. We recommend several options for lighting your camp but you’ll need both hands for tasks like cutting vegetables and putting your tent together. Headlamps are the best option to keep you hands free. 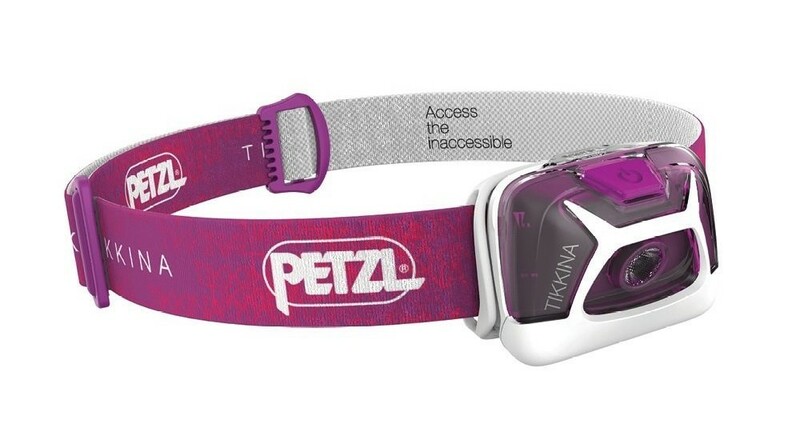 We like Petzel headlamps and don’t forget to keep spare batteries with you at all times. 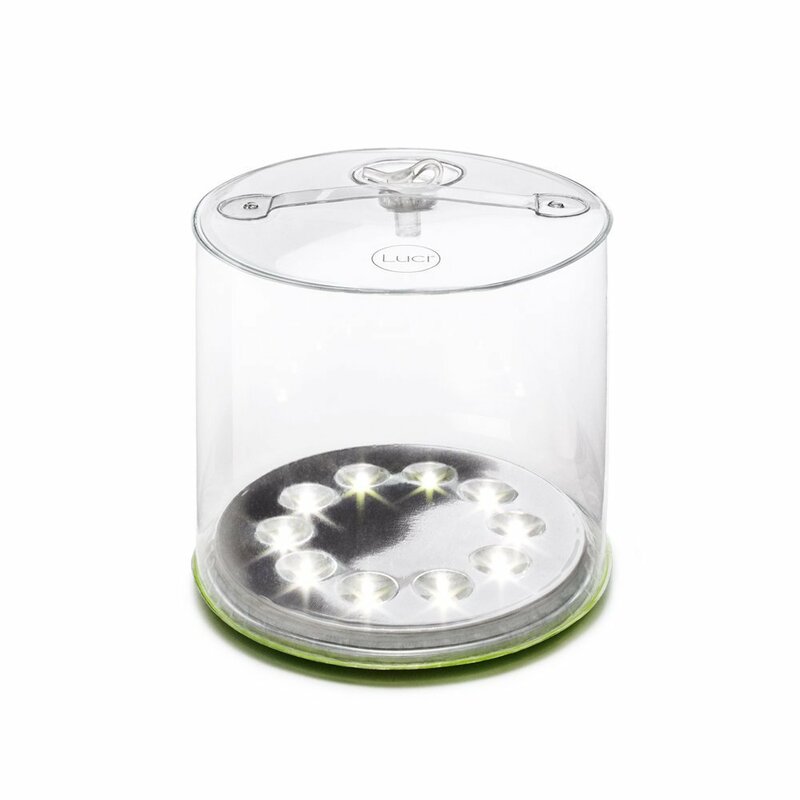 When inflated they provide a wide circle of bright light that’s perfect for brightening your camp after dark or illuminating your tent before you go to bed. They deflate and pack down super small. They are solar powered so you don’t have to worry about buying batteries. Just put them out in the sun at your camp during the day or on your car dashboard while you’re driving. They’ll be ready to go again by nightfall. They’re waterproof so it’s no problem if you accidentally leave them out in the rain. Road trips tend to include almost daily hiking adventures. Be sure you have a small day pack to hold your snacks, water, camera, hammock, and a jacket – just in case. 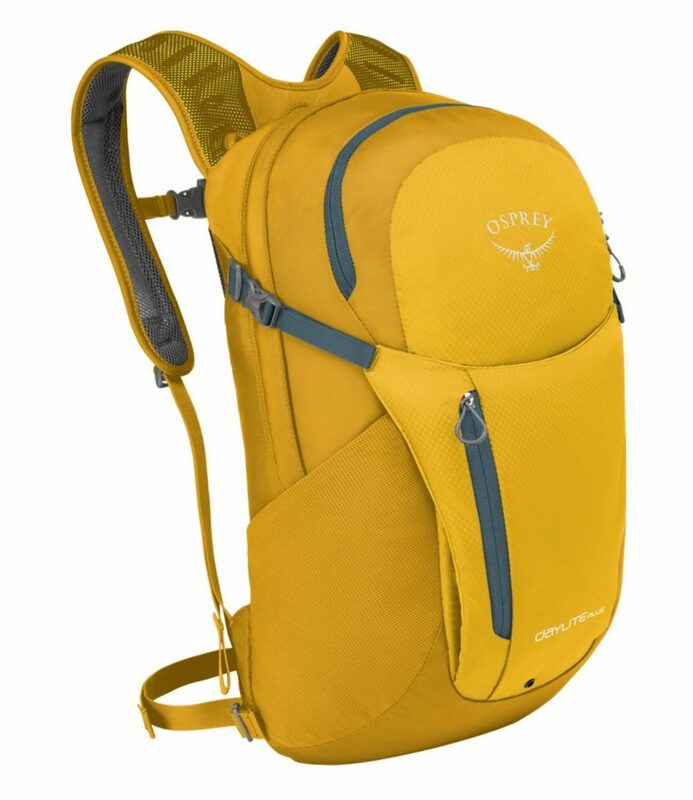 This one by Osprey is durable, comfortable, and stylish. 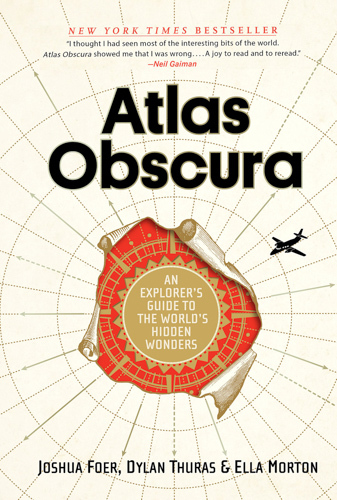 Going on longer treks? Check out our comprehensive post about how to select the right backpack here! Whether you’re hiking up some beautiful mountain or just hanging out around your camp, you’ll want to have easy access to drinking water. Most campgrounds have a water spigot at each campsite and if you invest in a double walled Hydro Flask, you’ll always have refreshingly cold water on hand. Check out our Travel Photography Packing List for a list of our recommended travel photography gear. You’ll be enjoying the great outdoors so don’t expect to find any outlets anywhere. 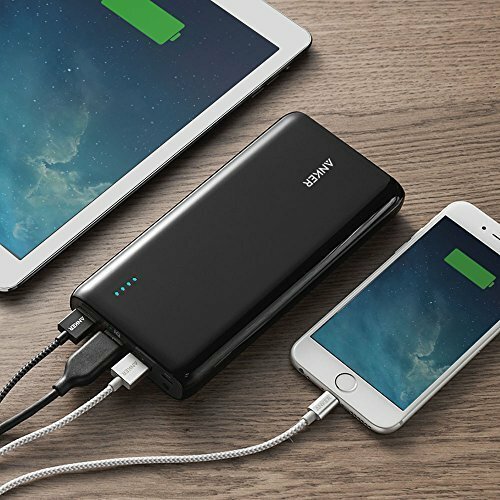 You’ll need a power bank for backup when your charge runs out. We like the Anker PowerCore 26800 Portable Charger even though it’s on the heavier side because it has multiple USB outports and can charge most phones up to 7 times. It’s also tough to keep all of your gadgets charged on a road trip. 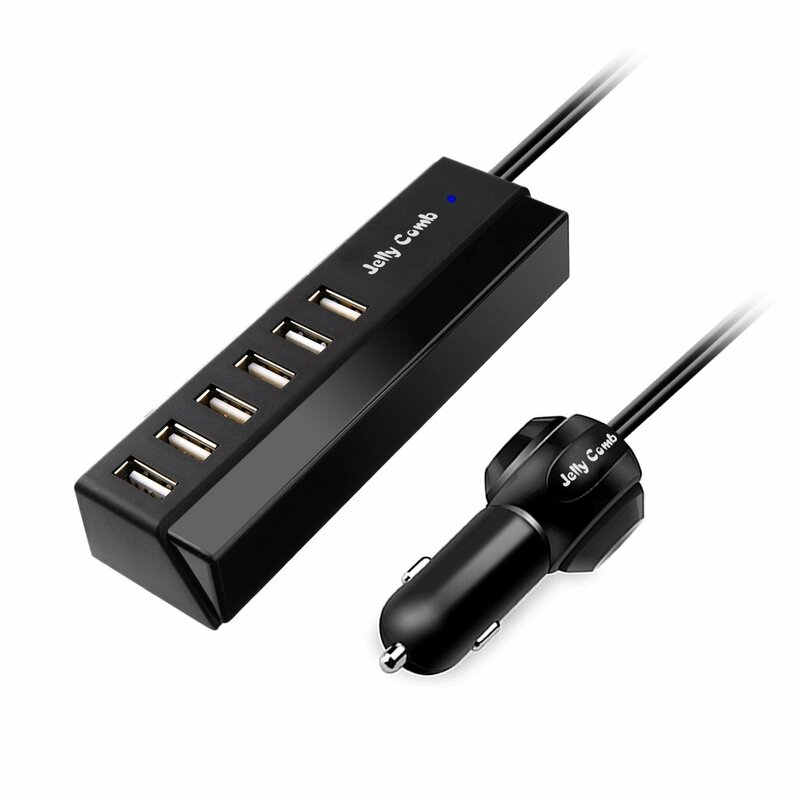 Invest in a multi-USB car charger so you don’t have to fight over your vehicles single power point. If your road trip is planned during spring or summer months, consider investing in a solar charger. 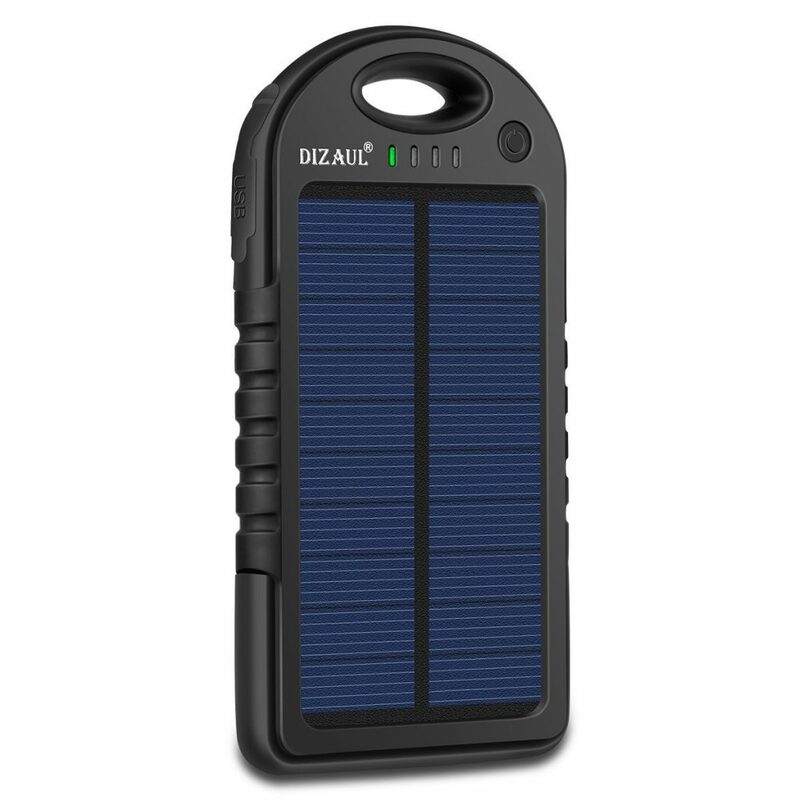 Hook this one to your backpack while hiking so it can catch rays all day and then charge your gear all night. We always keep a dry bag in our backpack while on hikes so that we can keep our photography gear and other electronics dry in case we get caught in a surprise rain storm. Save the best for last, right? Fingers crossed that you’ll always have access to a toilet when you need it but best to be prepared, just in case. 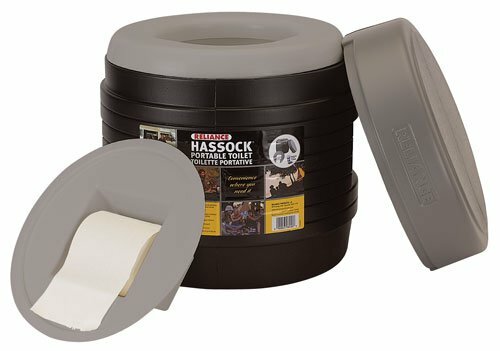 Practice leave-no-trace by either digging a hole and packing out your toilet paper or by using a self-contained toilet like this one. Don’t forget to add double doodie toilet bags to your order! Are we missing anything? Comment below with your favorite camping essentials so we can add them to our list! What a fantastic post! We’re currently enjoying Motorhome life in Europe, but I’ve always wanted to try a camper van too! Thanks for all the tips and info if/ when we do.